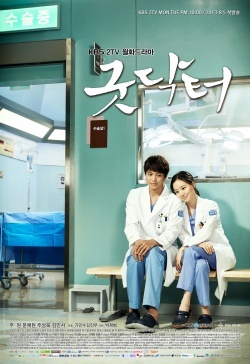 A medical drama based in the pediatrics department. This drama will draw the story of a young man, Park Shi On (Joo Won) with Idiot Savant Syndrome who overcomes obstacles to become a pediatric surgeon. He is a pediatrician who despite his developmental disabilities is a medical genius. He is a gifted doctor but has trouble with other areas of his life, such as relating to people socially. Meanwhile, Cha Yoon Seo (Moon Chae Won) is a pediatric surgical fellow and Kim Do Han (Joo Sang Wook) is the best pediatric surgeons in Korea. He will finds himself frequently in confrontation with Park Shi On. This drama will also show the love triangle between Park Shi On, Cha Yoon Seo and Kim Do Han.